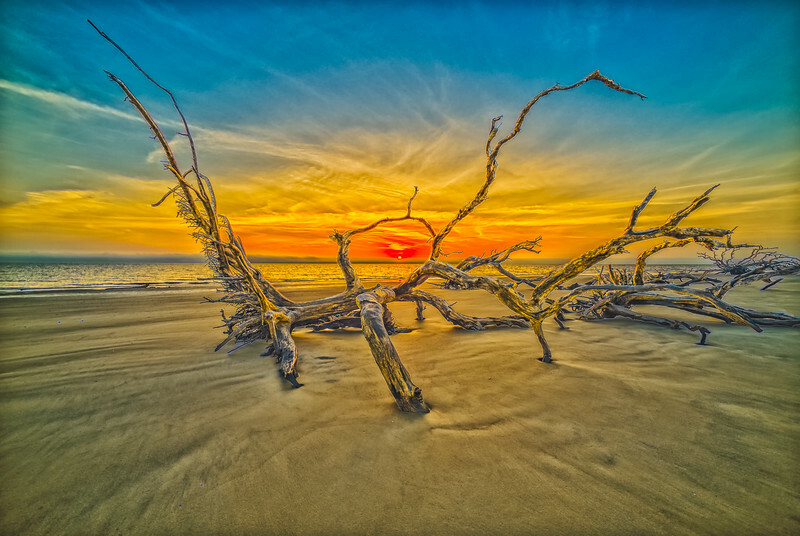 Sunrise over Sea Fog Bank on Driftwood Beach Jekyll Island Ga. A7s and Voigtlander 12mm f/5.6 @ 16 mm. ISO 50. 5 frames +/- 2 ev. PP in Oloneo PhotoEngine, LR, Nik Color Efex Pro.